﻿ Everything You Need to Check Before Hitting Send » Red Mango Marketing! Have you ever opened your email inbox to find four emails from the same business? Maybe a wrongly addressed email? Or even an email with basic spelling and grammar errors? If a mistake happens once, you likely won’t think too much about it. But if mistakes happen multiple times, that could reduce your trust in the brand. With so many things that could go wrong when sending a marketing email, it’s normal to feel a bit stressed out. Especially, when you’re sending to a large list of contacts. That’s why it’s helpful to have an email marketing checklist that points out some common errors and how to avoid them, just like the one below. Easily send the right emails to the right people with Constant Contact Email Marketing. Let’s start with a big one, and a very important one at that. The ‘From’ name is your identity and you need to choose one that will be recognizable to your subscribers. It could either be your first name or your company’s name or even the product or service a customer has signed up for. If your readers don’t know who the email is from, chances of them opening your email are significantly less. As is the case with the ‘From’ name, the reply email influences whether or not your reader is going to open your email. Think of the difference between seeing an email in your inbox with the return address ‘noreply@brand.com’ vs one that is personalized, like ‘amreen@brand.com’. Which email is more likely to be opened? Which one would you trust more? You might be worried that putting a genuine email address out there might open your inbox to negative replies from your readers, but it also opens doors to useful, legitimate conversations with your customers. Make sure the ‘from’ name matches the one in your email address; your readers expect it to be linked to a similar email address. The subject line of your email is one of the first impressions someone gets from your brand, especially when you’re sending them an email for the first time. People want promotional emails. They want to know when you’re having a sale and/or if you’re giving them a special discount for their birthday or for being a loyal customer. They just don’t want an irrelevant email or worse, misleading ones. Avoid using common phrases that trigger spam filters in your subject lines. Using ‘free’ along with words like ‘guarantee and spam’ most often makes sure your email lands in the spam folder. Email subject lines with all caps and excessive punctuation marks also have a higher tendency of landing in spam. A preheader is the short summary text that follows the subject line of an email. When a reader first views your email, the first thing they notice along with the subject line is the preheader text and decides if it is relevant enough to them to open the email. Litmus has put together a list of devices their corresponding preview text character limits. Use text which gives the reader an insight into what your email contains. You could even use the space to mention a discount coupon or a sale on your website. You’ve subscribed to a new blog, one that promises to provide you with updates on your favorite activity, but the first email you receive addresses you as “Hi FirstName!” – bummer, right? They can’t even get your name right while promising to send you tailored content at the same time. This is a definite red flag which might cause readers to unsubscribe from your mailing list. To avoid this mishap, send a couple of test emails internally to your team. Carefully check your email to make sure the merge fields are populating correctly. Ever received a marketing email from your favorite brand that talks about multiple products available on their website, expect none of them interest you? Yeah, that can get a little annoying. An email that’s cluttered with products that hold no relevance to the customer will simply cause them to lose interest in your email and maybe unsubscribe if it happens multiple times. 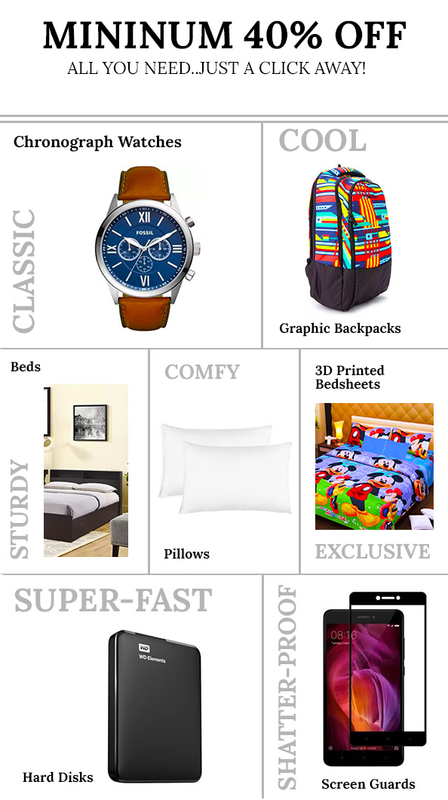 The below example is taken from a promotional email I received from one of my favorite online retailers. The problem here is – I don’t know what they want me to buy. Too many products to focus on makes me lose interest in the email, since they clearly don’t seem to know what I’m looking for. How do you avoid this? When you’re dividing your readers into segments make sure to remember at what stage of their customer life cycle/purchasing cycle they’re at, as in whether they’re a new customer or someone who’s left something behind in their cart. A little extra effort when segmenting can go a long way. Customers get really confused with an email that links to multiple things – Do you want them to download your eBook or check out the interesting video? Subscribe to your blog or follow you on social media? It helps if your CTA buttons all are working towards the same goal – maybe driving traffic to your website or asking readers to download your eBook, but not both. Asking customers to complete multiple actions will only reduce clicks and drive less action. You’ve spent hours creating the perfect copy and creative for the big anniversary sale for your business. As you hit send, you realize the promo code on the main banner is wrong. Uh oh! Not only have you lost potential customers, but also you’ll likely infuriate existing customers too. Similarly, if a link you’ve included in the email leads your readers to the wrong landing page on your website, or if it’s broken, customers may not want to do business with you. Make sure you check all the links and promo codes by sending a test email. Include multiple people from your team so they can check them as well. No one wants to read long emails, especially if they’re checking their email on their phone while on the go. Similarly, if you include too many images in your email, it may not load correctly or take too long. Customers may get distracted and not read your email. Always remember to keep your copy concise and to the point. Sending an email with a subject line that talks about dog supplies to a cat owner or vice versa is one of the biggest email marketing sins. It shows you either don’t know anything about your customers, or you’re sending to the wrong segment. Both of these have a high risk of making customers unsubscribe from your emails. Use your knowledge of your customers to talk with them one-on-one, taking your personalization to the next level. Zero mistakes in an email is always the goal. Making sure you test the email multiple times before sending it out, creating an SLA and following through gives all of the parties involved sufficient time for each step in the creation process, preventing the errors that are so often the result of someone being in a hurry. Sending a test mail to double check your content, images, basic spelling and grammar, etc. is always a good idea, but sending it out to your entire subscriber base is not. The online retailer ‘Fab’ accidently sent out a test mail titled, “[TEST] PM Tracking Test”, to their entire customer base. The picture of a cat in their inbox left customers extremely confused. Check spelling and grammar – Double check and proofread your emails multiple times. Ask others to take a read too. Too many irrelevant emails – You wouldn’t like it if you received an irrelevant marketing email from the same business three times a week. Neither do your customers. Finding the perfect frequency to email your audience can be tricky. The key to deciding the number of emails to send your customers depend on your exact audience. Different customer segments will react differently to different frequencies of emails. The more relevant your emails are to the customer, the more often you can email them without needing to worry about higher unsubscribe rates. Don’t let common mistakes scare you. A lot can go wrong when drafting an email, but all these mistakes can be easily avoided. Once you start looking for these common errors and get better at segmenting your lists, you’ll see your results start to get better too. What are some of the email bloopers you’ve seen or have received? Share your story in a comment below. Make it easy to send the right email to the right customers with email marketing tools from Constant Contact. 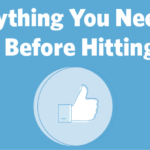 The post Everything You Need to Check Before Hitting Send appeared first on Constant Contact Blogs. This entry was posted on Wednesday, April 18th, 2018 at 8:23 am	and is filed under Email Marketing, News & Updates. You can follow any responses to this entry through the RSS 2.0 feed. Both comments and pings are currently closed.